Earlier this week Andrew Gallix of 3am Magazine tweeted the Guardian‘s coverage of a pamphlet published by right-wing thinktank the Centre for Policy Studies on literacy in primary education, written by Miriam Gross, backed by the current Conservative Mayor of London Boris Johnson and called So Why Can’t They Read? Coverage in the Guardian hinges — as their headline suggests — on the supposed finding that ‘street’ talk is, brace yourself, breeding illiteracy (my italics). Aside from the questionable vocabulary of that headline, the wider story rang a bell for obvious reasons. 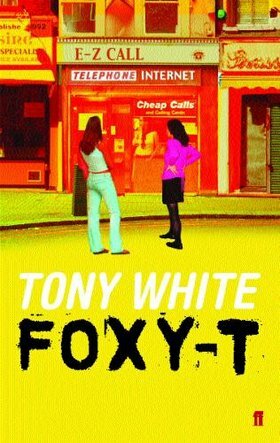 Not least that when my novel Foxy-T was published by Faber and Faber in 2003 it was criticised for using the language that I was hearing all around me in east London at the time—what a few years later would become known as Multicultural London English, or MLE—where white, Asian and other mainly (but not exclusively) young people were adopting or hybridising Black British language and in so doing were disrupting what had been the very necessary identity politics of the preceding decades: a disruption typified for me by young Bangladeshi rudeboys calling each other ‘Rasta’ and most easily illustrated by the fact that it became impossible to determine the ethnicity of an unseen speaker (e.g. someone sitting behind you on the bus) by the sound of their voice. It had seemed to me that if with Foxy-T I was trying to map the ephemeral economies of Cannon Street Road, London E1, then this most ephemeral economy — spoken language – would need to be central to that. It would have been impossible to write the novel in any other way. Where those identity politics of the 1970s intersect most productively with literature is in the poetry of Linton Kwesi Johnson, the importance of whose work cannot I think be overestimated. A couple of years ago I was invited to Goldsmiths for an event called African Consciousness, Reggae and the Diaspora, which was to be a conversation illustrated — if that is the word — with music; a conversation between the influential critic and theorist Paul Gilroy and Linton Kwesi Johnson. (I notice that there is a more recent solo Lecture by LKJ on African Consciousness in Reggae Music, to which these are the opening notes.) That evening at Goldsmiths got off to a great start but after what could only have been about 15 minutes the alarm went off, as well it might if Gross’s pamphlet is anything to go by because it seems that this is still dangerous stuff. We all had to shuffle back out into the autumn dark, which took a while because the place was absolutely rammed. You might think that whichever University authority it was would have been able to simply turn the alarm off and then invite us back in again to continue with this all-too-rare opportunity to hear both Gilroy and LKJ speaking relatively informally and in intimate surroundings, but for whatever reason this wasn’t possible. It is strange to see such exercisings of power being rehearsed again now though. Or perhaps given the certain Tory tendency for stigmatisation of marginal and disempowered groups it’s simply to be expected. It is strange, too, having to get used to a new generation of obnoxious Tory ministers getting on the Today programme and trying to ‘feed us a burger‘ about this or that. Maybe I was reading this a bit too closely but I don’t think so. I couldn’t be sure, initially, whether it was the Guardian or the CPS that had made the poor decision to attribute (and pejoratively) the anthropomorphic action of ‘breeding’ to what is after all a linguistic abstraction, and to do so within a discussion about the impacts of migration. In fact I was slightly relieved to see that the word occurs neither in the press release or the pamphlet. Boris Johnson’s introduction describes an ‘epidemic’ of illiteracy among Londoners, while Gross’s own use of language is more measured. But just because the Guardian‘s headline arguably made the story sound more racist than it is, doesn’t mean that it is not a strange and to me slightly odious piece of work. Any young person or parent who has endured SATS and league tables will groan to read Gross’s bizarre (indeed her main) recommendation of a spectacle that would corral teachers and pupils into some vast annual reading competition designed with the sole purpose – it would seem – of proving ‘once and for all’ (and year after year, depending which bit you read) that her preferred ‘Synthetic Phonics’ system is the best for the teaching of reading skills. It would be hard to conceive a more monumental and coercive waste of time. Named sources cited extensively include Shahed Ahmed, the head teacher of Elmhurst Primary School of Forest Gate, London E7, and Avril Newman, head teacher of the Sir William Burroughs [sic.] primary school… Huh? Do they teach ‘the cut-up technique‘ there, I wonder? I love the fact that such a glaring typo (and one that is so easy to fact-check and proof) as this supposed ‘William Burroughs’ Primary School should occur three times in a document from a Tory thinktank about falling standards of literacy. Is ‘street’ talk perhaps undermining the standards of proofreading, too? There is another language issue which is rarely mentioned: “Street” English, the argot in which children – both white and non-white – who live in the poorer areas of inner cities often speak to each other. This language contains a mix of various ethnic influences – Caribbean, Cockney, Afro-American, Indian and others. Like dialects and slang in other countries, “Street” has its own grammar, its own vocabulary and its own pronunciation. [Primary school teachers] encourage children to read poems and stories written in ethnic dialects – in Barbadian patois for example – which is fine, but they omit to point out that there are linguistic discrepancies. Only later, when they get to secondary school, do these pupils discover that “Street” is not acceptable in their written work. Understandably, they find this both confusing and discouraging. So, clearly, in the absence as it is presented here of any evidence whatsoever to back it up, Gross’s assertion reads like opinion presented as fact. However, the very absence of references or qualifications to break them up makes these few sentences more easily reproducible (and thus perhaps more conducive to press coverage) than other parts of the text. Almost incredibly, Daily Hate coverage (which I am not linking to) ignores the provocation altogether. Actually of course the spectre of mass illiteracy and falling standards is raised every summer, ‘street talk’ scare story or not, because August brings with it the GCSE and A-level results. Back in 2004, when the paperback of Foxy-T was published, I had a call from Radio 4’s Today programme, or actually a fax: they tracked me down to a hotel room in Tallinn, Estonia where I was attending the ISEA 2004 digital arts and electronic media festival (festival programme here). As part of their coverage of the next day’s A-level results they would be interviewing the then Schools Minister David Milliband and others about supposed falling standards in secondary education, after which they would turn to me to talk about Foxy-T. Great. 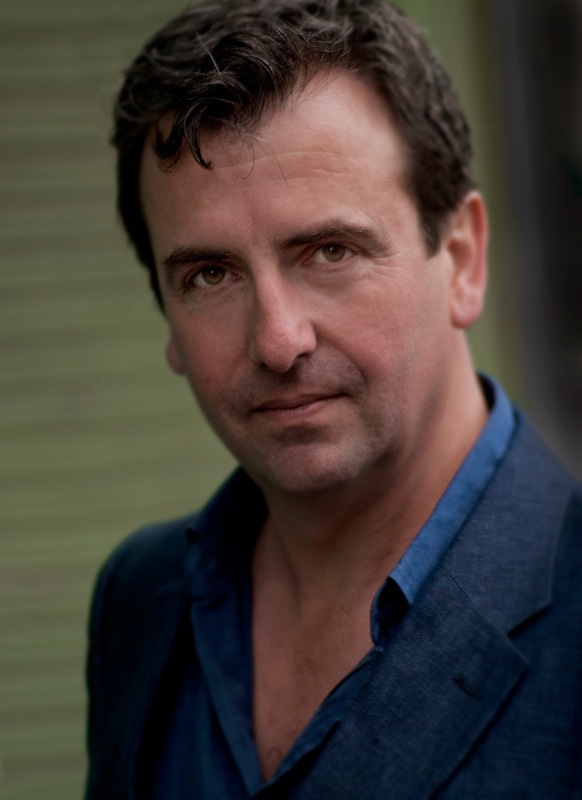 During the interview, the co-anchor Ed Stourton gamely read a section of my novel aloud before asking whether by using such contemporary language I was in fact excluding ‘some of us’. For some reason the Today programme’s sound archive which includes every programme broadcast since 2003, is missing this section, which is listed here at 08:20 on 19 August 2004. However I do own a low quality cassette recording of the interview which I have digitised and am making available now (with only mild apologies for the background noise and hiss) since part of the purpose of this site is to make archive materials available, and a poor quality recording is generally preferable to no recording at all. The first two minutes or so of the segment feature writer Alec Hamilton talking about Henry W. Fowler of Fowler’s Modern Usage fame. Around 47-seconds in you will hear a slight rattle as might be produced for example if a china coffee cup were set down in some immediately regretted moment of absent-mindedness onto a glass-topped coffee table in a former Soviet sphere Baltic hotel room. There is one small victory in there too, in that I was able to say, uncontested, on the Today programme that Linton Kwesi Johnson is one of the most important British writers of the last 40 years. I still don’t know quite why I said that, because I think he is possibly the most important British writer of the last 50.